Euroview Commercial Windows - Welcome to Interstate Window & Door Company! The high thermal insulation value advantages of Euroview can lead to cost savings and reduced energy use. 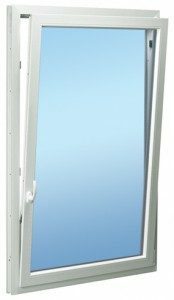 The Tilt/Turn window is a dual functioning window designed to provide ventilation, security, emergency egress and easy cleaning from inside. Featuring single handle operation, simply turn the handle 90° and it swings in. Turn the handle 180° and it tilts inward to a set position at the top providing ventilation and security. The turn function may be key operated for safety. Our European style Casements use projection friction stays and espagnolette locking systems instead of crank handles. 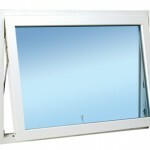 The window’s hinged sash swings in or out providing greater ventilation than typical hungs or sliders. These Casements also provide emergency egress if needed. 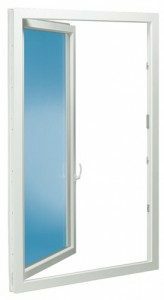 Built with the Tilt/Turn frame, our Picture windows are fixed units that can be used alone or mulled together with other units. 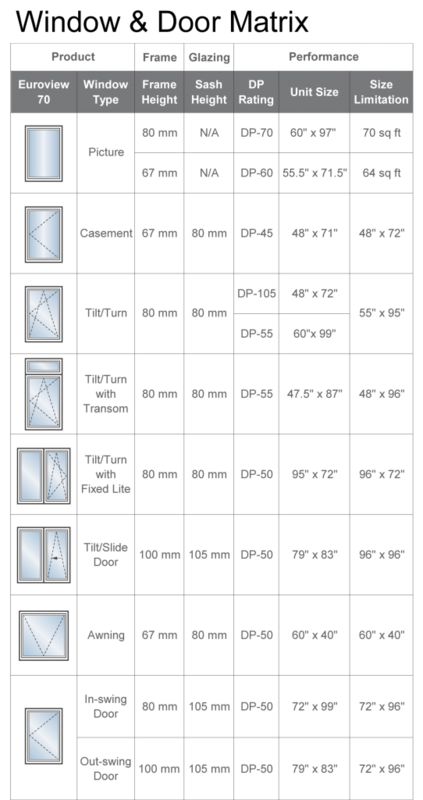 Typically, Picture windows are used where a focal point or maximum light admission is desired, or when a strip/ribbon of windows is needed. 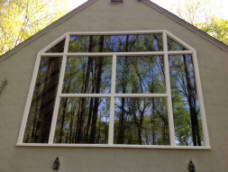 Awning windows are hinged at the top and open outward. They are designed to circulate air while protecting the interior from light rain. Hopper windows are hinged at the bottom and open inward. 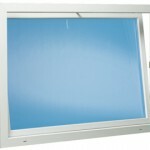 They are designed to offer ventilation and security. Awning windows are commonly used in combination with Casement or Picture window units to add visual interest as well as ventilation while Hoppers are generally used in ground level rooms to provide ventilation and security. Energy conservation is critical now more than ever. 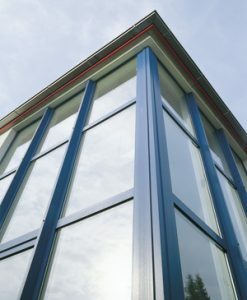 Unlike thermal conducting aluminum windows, which rely on a thermal break which compromises the integrity of the frame, PVC is a natural insulator. The heavy gauge vinyl extrusions are designed with five internal chambers formed by vertical interior and exterior vinyl walls. Exterior walls are designed to meet impact and weathering performance while interior walls are added for structural integrity, weld strength at the corners, and “dead air” insulation performance. Properly used trapped air greatly increases the frame and sash. The high thermal insulation value advantages of Euroview can lead to cost savings and reduced energy use. Since these are ventilating units, the HVAC system is no longer the only means of providing air exchange, thereby creating a healthier indoor environment. Euroview’s exceptional performance can help you score LEED points in the Energy & Atmosphere, Materials & Resources and Indoor Environmental Quality categories. 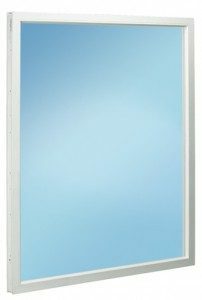 Vitrius R-Series system features a patented radiant glass technology that produces thermal energy. Radiant glass technology provides transparent insulation by creating a perfect thermal barrier between the building envelope and the exterior environment, and can also be used as a primary or auxiliary heat source. The use of Interstate windows with R-Series glass provides superior thermal comfort, uses substantially less energy than traditional heating systems, reduces heating costs, and eliminates condensation or fogging of glass. Like the light from a lamp, radiant windows cast a warm heat that is absorbed by surrounding objects. Radiant windows therefore provide comfort at lower room air temperatures by increasing the radiant heat in the room. It works by directly warming objects – not by heating the air. Additionally, radiant glass stops all of the heat otherwise lost through the glass in an opening from the interior – providing an exponentially higher R-Value than a traditional window system.